The ends of the towel are unfinished. 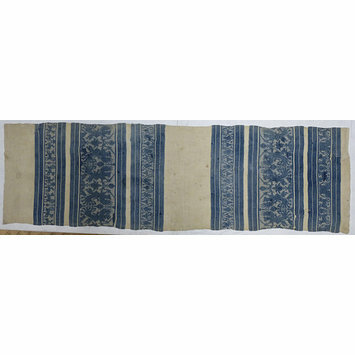 The blue colour is very washed out, and the towel is extensively patched and darned, including patches from other similar towels. These textiles are usually attributed to Perugia.